We are bowl bound, baby! 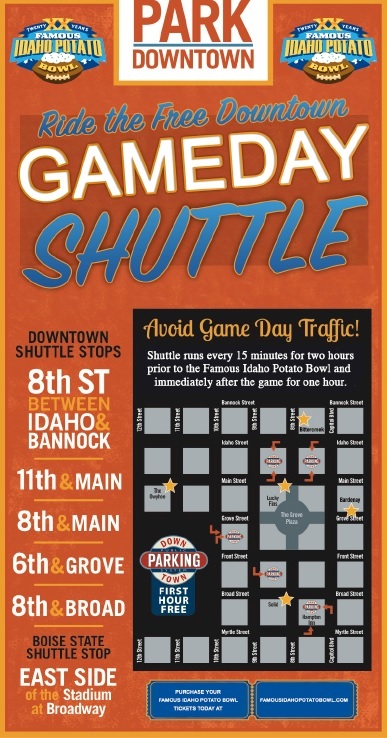 As Vandals throughout Idaho and nationwide get ready to cheer on our team, here are a few last-minute details that will help make the experience even more enjoyable. We have nearly sold out of the 7,000 tickets we were allotted for the game, so the stadium should definitely have that home game feel. There are a few tickets left, if you haven’t bought yours yet, you still can via the UI Ticket Office. Albertsons Stadium uses a metal detector at the entrances. To speed entrance to the arena, please leave weapons, including pocket knives, at home. Artificial noisemakers, such as air horns and cowbells, are not permitted. Glass or plastic containers, large bags, backpacks and coolers are not permitted. Laptops, tablets, selfie sticks and long-lensed cameras are not permitted. 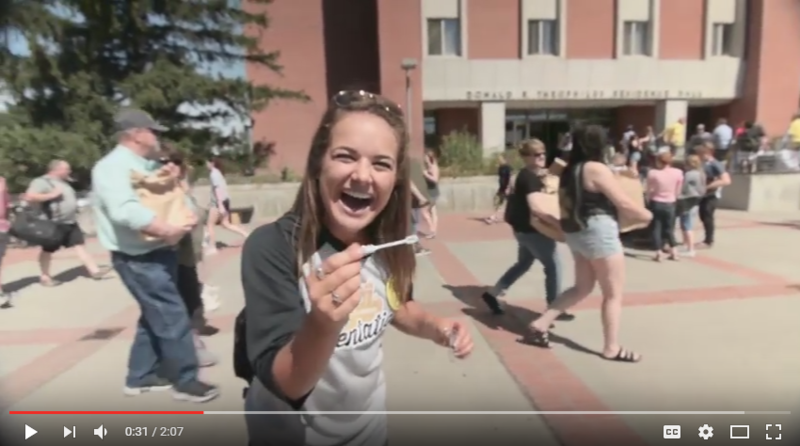 Boise State University is a smoke-free campus, including the use of e-cigarettes. Alcohol consumption is permitted within the "10 to 10 Zone" at BSU, however all beverages must be kept in opaque plastic cups. Glass containers, liquor bottles, beer cans or cups with alcohol labeling are prohibited. Download more information about the Zone, including a map of the impacted area, on the UI bowl game website. For those of you not trekking to Boise, watch parties have been organized in a variety of locations. Don your Vandal gear, grab some pompoms and head to the watch party nearest you to enjoy watching the Vandals win with your fellow alumni! And, if you aren’t near a watch party, you can always listen to the game on the Vandal Radio Network with Dennis Patchin and Ryan Phillips. 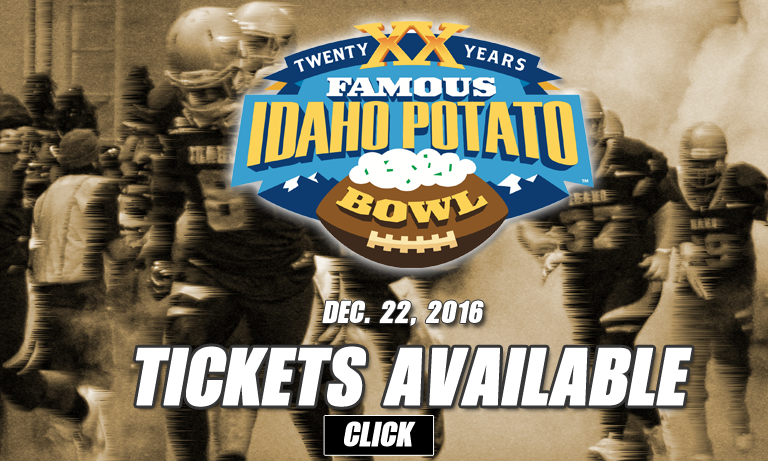 Let’s make this bowl a celebration of everything we know and love about the University of Idaho. A special thank you to Coach Petrino, his staff and every member of the Vandal football team. We are so proud of you!! This will be the last Vandal Vibe for 2016, so let me close by saying a heartfelt Merry Christmas and happy holidays to each and every one of our 106,077 alumni wherever you may be. A special shout-out, too, to Vandals serving in the military who won’t be home for the holidays – thank you for your service. I wish you and yours the best of the season and a healthy, happy, prosperous 2017! Cheer on the Vandals at a Watch Party Near You! Family friendly and Vandal-owned. Local beer vendors will be on site as well as food and drink specials by Paddy’s. Seating is first come, first served, bar and family seating areas. Enjoy a variety of food and drink specials. Join alumni and friends in a reserved room to cheer on the Vandals. Food and drink specials available. 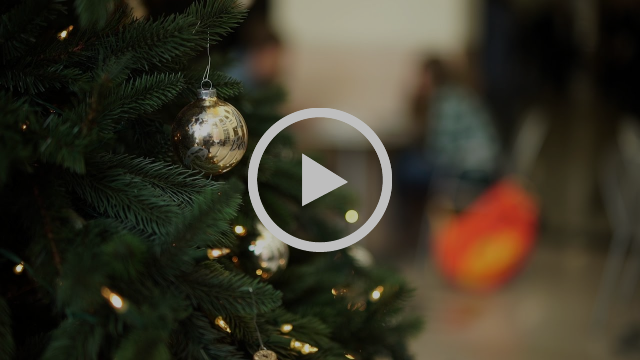 Happy Holidays from the University of Idaho! On behalf of the University of Idaho, we wish Vandals everywhere happy holidays. Thank you for being a part of the Vandal family! Vandal Marching Band alumni - Spencer Martin and Kate Pawelko - reminisce about the 1998 and 2009 Humanitarian Bowls and what it meant to cheer on the team to a bowl game victory. 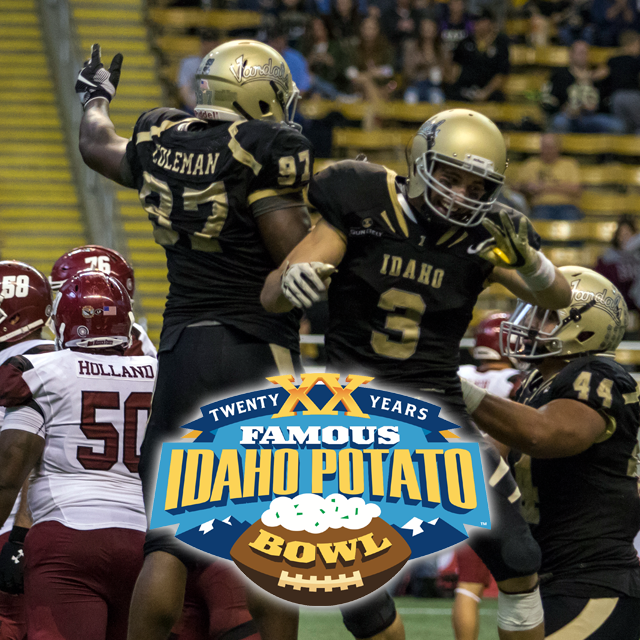 After five months of grueling practices and long game days, the members of the Vandal football team are not the only ones ready for the 2016 Famous Idaho Potato Bowl. The 230 members of the Vandal Marching Band will be taking the field at Albertsons Stadium on Thursday, Dec. 22, to do what they do best: enthusiastically support the football team and play for the thousands of Vandal faithful in the crowd. 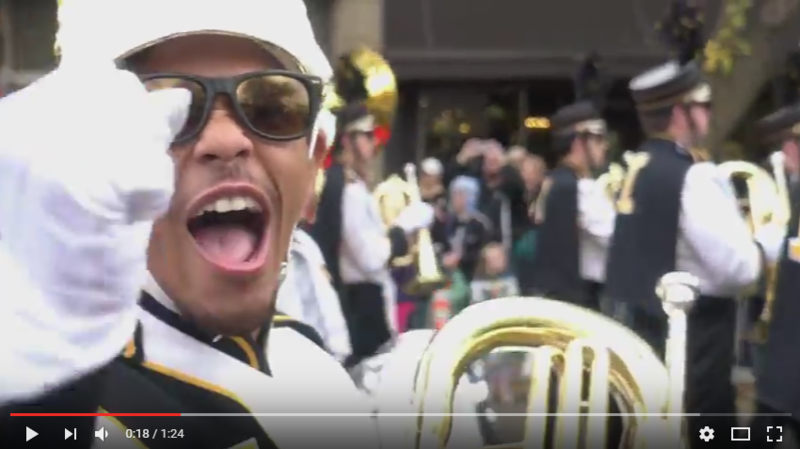 Since August, the Vandal Marching Band, a part of the Lionel Hampton School of Music in the College of Letters, Arts and Social Sciences, has been performing at university and athletic events. Traveling to the Famous Idaho Potato Bowl will be the capstone on an exciting season for these students and a memory that they will not soon forget. 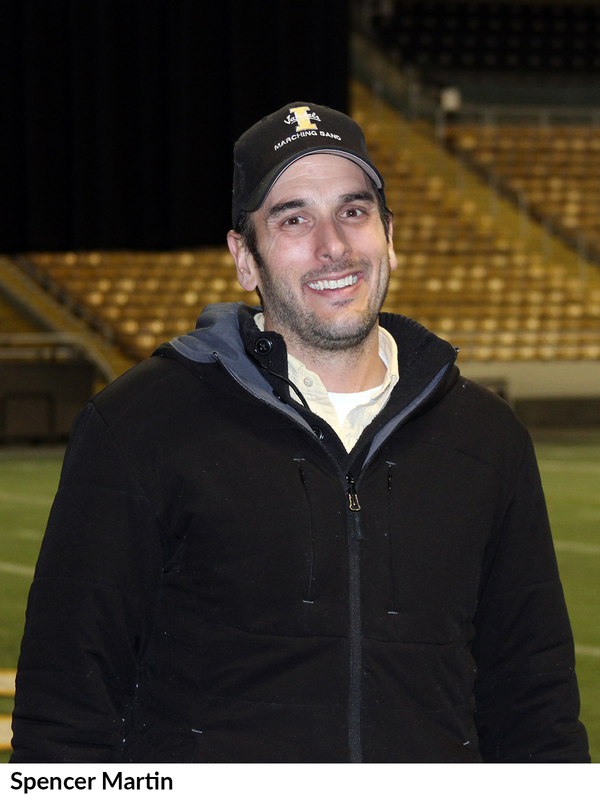 Athletic bands Director Spencer Martin ’99 can still remember the excitement of attending the 1998 Humanitarian Bowl. Martin was a senior music major and played percussion in marching band. Kate Pawelko ’14 of Idaho Falls was a freshman history and Spanish major in 2009 when the Vandals revisited the Humanitarian Bowl. Pawelko played the baritone, trombone and trumpet in the marching band. The deadline for Class Notes to be included in the next Here We Have Idaho magazine is Jan. 16. Submit yours today! Looking for something fun to do in Boise on New Year’s Eve? 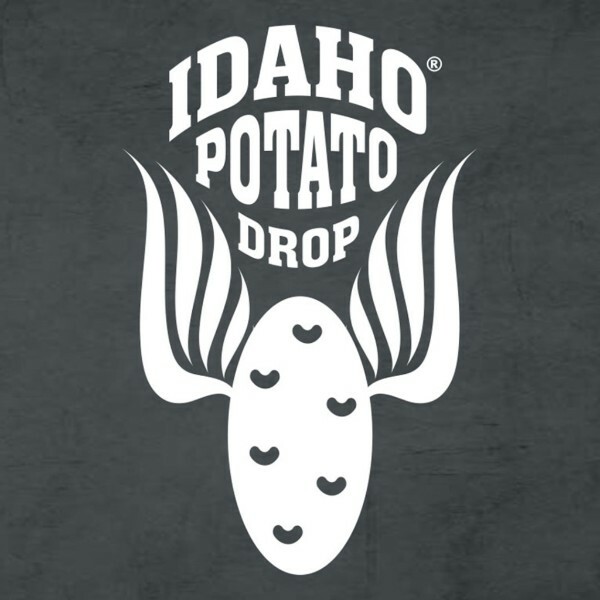 Head over to the Idaho State Capital for the Idaho Potato Drop, sponsored by UI College of Agricultural and Life Sciences. Find their booth next to the Big Idaho Potato Truck and walk away with prizes! 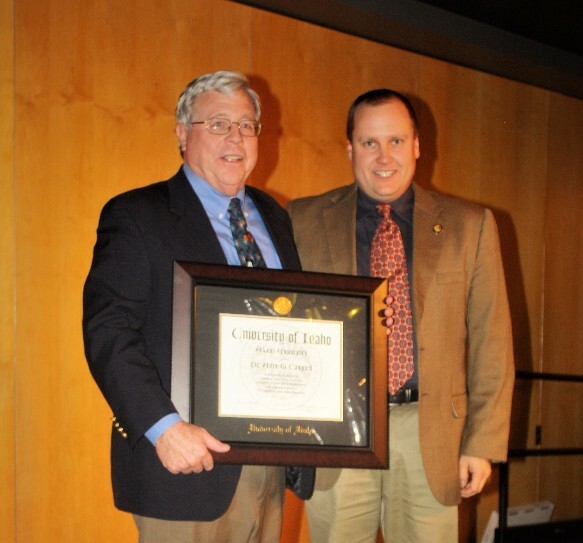 On Thursday, Dec. 8, the University of Idaho Alumni Association recognized Alton Campbell as an Honorary Alumni. Campbell is retiring from the university after 33 years of service. This award is bestowed on a select few who, with great distinction, have provided faithful and distinguished service to the University of Idaho. This honor recognizes outstanding leadership and service and identifies those special persons that are critical to the success of our alma mater. "In our opinion, our Dad’s greatest legacy is his ability to build student communities and his commitment to student success. As far back as we can remember, there have been groups of cheerful students at our house for dinner, student meetings, or even informal advice. One example is the small student discussion group he created called “Things that Matter.” These groups, re-formed each year, bring together students of diverse majors to discuss deeper topics than those examined in class or other social settings. Often hosted in our home and accompanied by hot chocolate and brownies, our Dad guided these groups in discussions about their purpose in life, dreams, religion, current events, or wherever discussion organically led. In the past few years, the groups have grown so popular that he couldn’t lead them all; upperclassmen have begun to lead their own groups, meeting at coffee shops or for potlucks or movie nights. These free-form communities provide a unique opportunity for personal introspection and friendship not provided or prioritized at most universities. Through this small activity, our Dad has recruited top students to the UI and has personally touched the lives of more than 100 students. Regardless of his job title throughout 33 years at the U of I, our Dad’s commitment is to develop lifelong learners, professionals, and thoughtful citizens. He’s the rare professor who always remembers to email students on their birthdays (even those who graduated decades ago) and makes an effort to visit if he’s traveling close to an alumnus. He’s constantly brainstorming ways to make the Honors and campus communities more welcoming and supportive and isn’t afraid to implement unconventional ideas. Our Dad puts every ounce of energy into his roles at the University of Idaho and is a major reason why studying at the UI is so transformative. 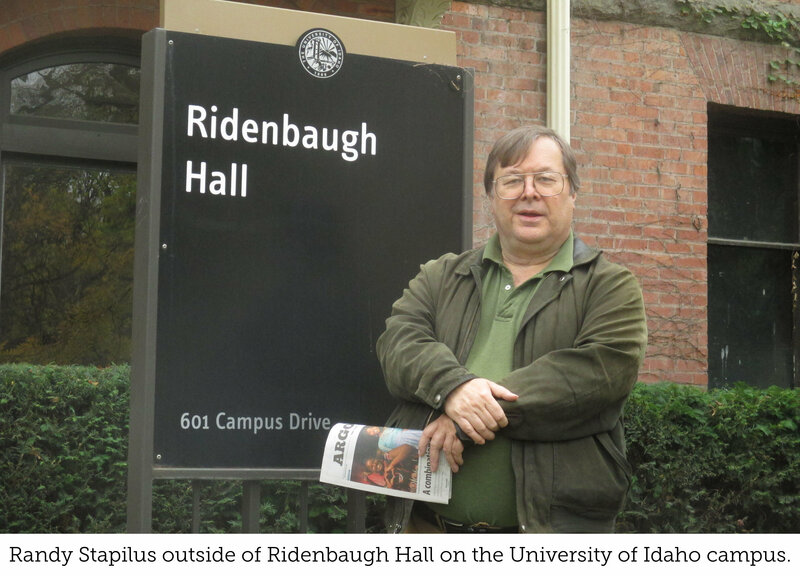 In return, the University of Idaho and its students have shaped who our Dad is today: a dedicated educator, mentor, and friend." We hope you will join us in thanking Alton for his distinguished service and welcome him into the Vandal alumni family. Go Vandals! 10 a.m. - 6 p.m. Monday, Dec. 19 - Friday, Dec 23. 10 a.m. - 2 p.m. Saturday, Dec. 24. Check often for updates to the artist line-up for the 2017 Lionel Hampton Jazz Festival. Buy your tickets today! 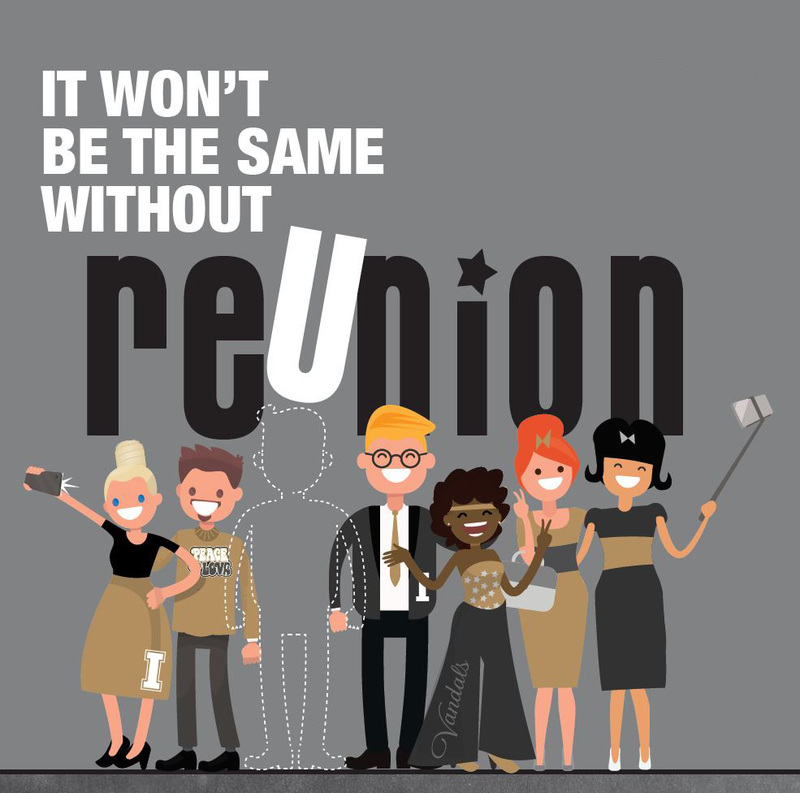 The Golden I Reunion has moved to the Spring! Once a Golden I, always a Golden I. All graduates of 50+ years welcome, even if you have already received your Golden I pin. 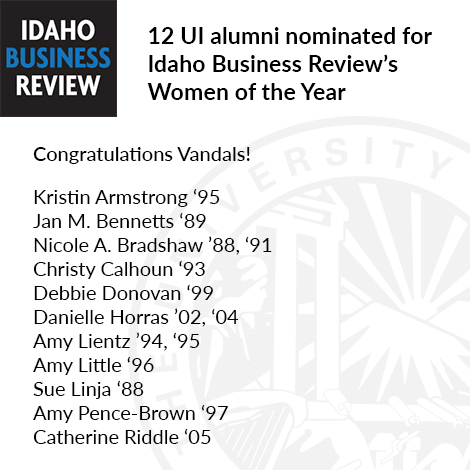 We can't wait to celebrate Vandal moms! 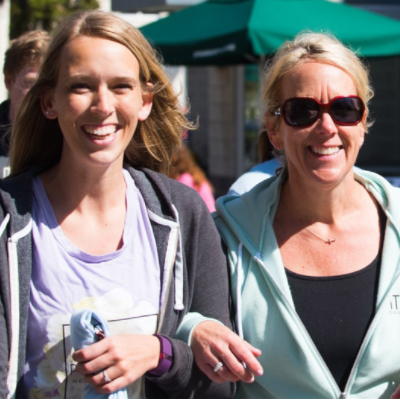 Enjoy the talents, achievements and involvement your students during Moms' Weekend. Dec 25 – Merry Christmas and Happy Holidays! 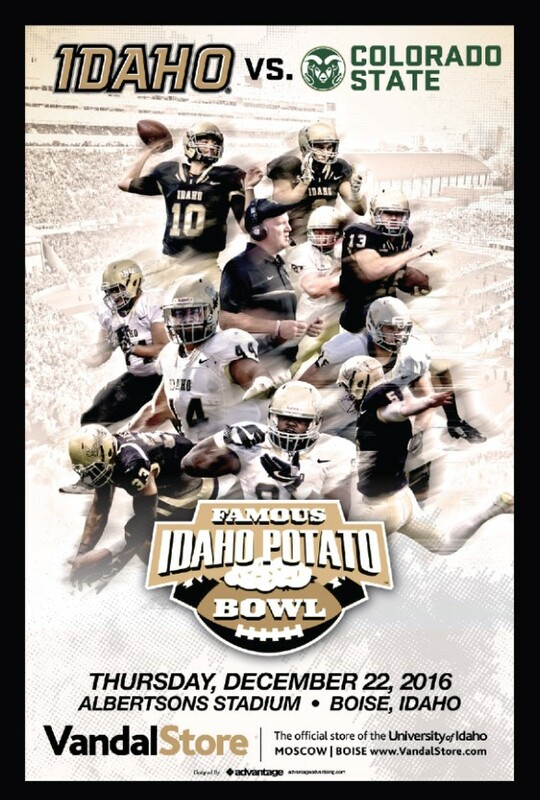 Famous Idaho Potato Bowl commemorative posters are here! Get yours at the VandalStore in Moscow and Boise. Free while supplies last. Marlys Wilson and the team at Latah Credit Union show their Vandal pride, helping Pave the Road with Silver and Gold in the Moscow community. They sponsor multiple events with the UI, most recently, the Latah Credit Union Fireworks Show for Homecoming. They are also proud to offer a waived membership fee for new students and faculty accounts. What a week of Vandal pride! From the Vandals’ decisive win over Georgia State on Saturday to the men’s basketball victory over UC Davis later that night to the announcement of our selection to play in a bowl, the kickoff to this holiday season has been especially joyous! 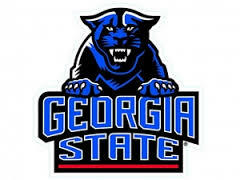 We are going bowling, and in our own backyard! 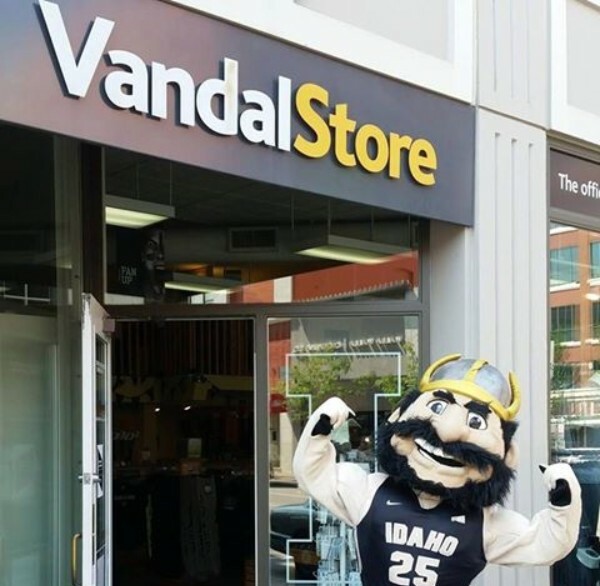 As you have probably heard, the Vandals will play the Colorado State University Rams in the Famous Idaho Potato Bowl at 5 p.m. MT, Thursday, Dec. 22, at Albertson Stadium in Boise. Tickets are going fast, so if you don’t have yours yet, buy them today. 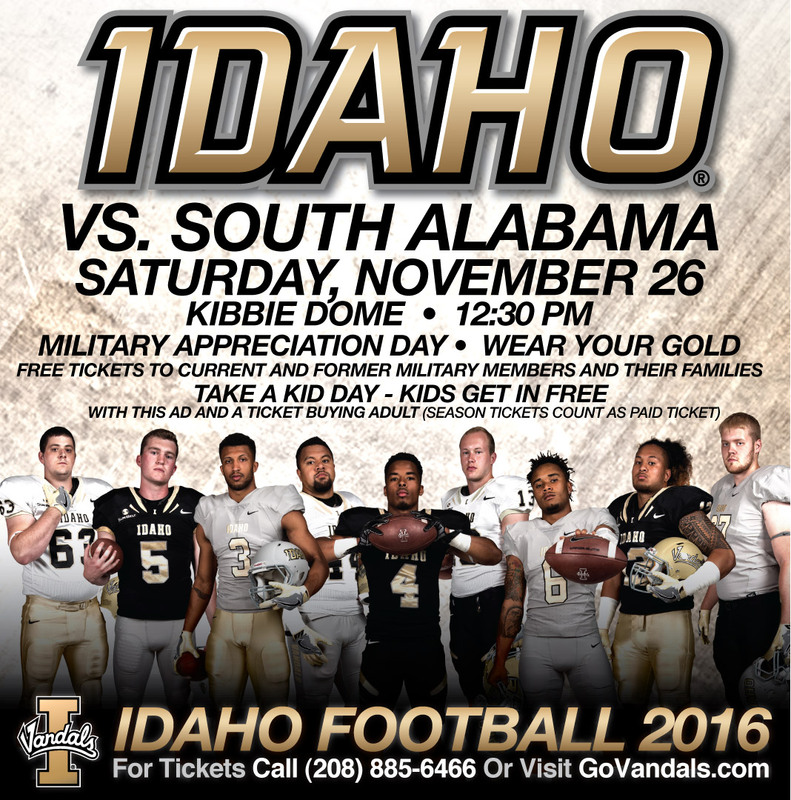 It is important to purchase your tickets through the University of Idaho site – UI Athletics receives a portion of the ticket revenues and has a certain number of tickets it must sell. Buying your ticket and Vandal pride bowl gear through the university directly benefits UI and is an additional way to show your support. Dig out your long johns and snow boots, hand warmers and ear muffs and enjoy the game! I have already heard of several groups planning to meet at the bowl for some holiday cheer and togetherness. It promises to be a wonderful addition to all of our holiday celebrations. Sydney Duncombe was one of the most influential professors at the University of Idaho, shaping a generation of Idaho leaders — including governors, mayors and senators — with his instruction of how Idaho and its government really work. In addition to the legacy he left at UI, Duncombe also channeled his knowledge and skills into a series of thriller novels about Idaho. Those novels are now being released by Ridenbaugh Press. “Only his immediate family and a few friends he allowed to read manuscripts knew he had turned to novel and mystery writing in his retirement years and only a few copies were printed,” said Randy Stapilus, publisher. Haley said that all royalties to the family will be directed to funding the Syd Duncombe scholarship in UI’s Department of Politics and Philosophy in the College of Letters, Arts and Social Sciences. Duncombe began teaching courses in political science and public administration at UI in 1962 and retired in 1987. Many of Idaho’s political leaders in recent decades took classes from him. 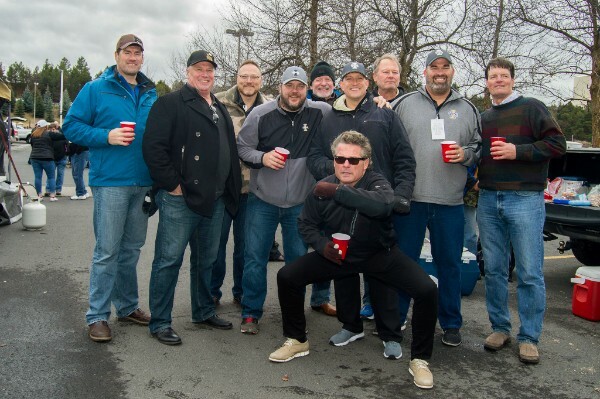 Vandal football alumni cheered on the team during the final game of the regular season. Congratulations to the winners of our first ever Most Vandalized Chapter Competition. Each chapter will receive a free Vandal happy hour event, compliments of the Office of Alumni Relations. Out of Idaho Chapter Tie! Congratulations to Los Angeles, San Diego and Sacramento on tying for first. Watch your chapter groups for information about a tie-breaker competition. The sounds of the holiday season echoing throughout the state will have a Vandal note to them this year thanks to a partnership between the University of Idaho and Idaho Public Television (IdahoPTV). 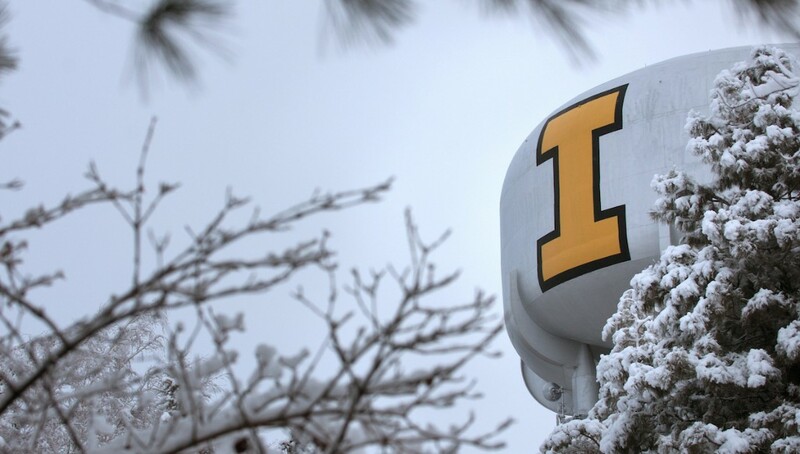 On Tuesday, Dec. 13, IdahoPTV will air a 60-minute edited version of UI’s 2015 holiday concert, which will debut at 9 p.m. Mountain and Pacific. The program will re-air throughout the month of December. UI’s holiday concert is an annual tradition that brings together nearly 1,000 performers from schools throughout the region. 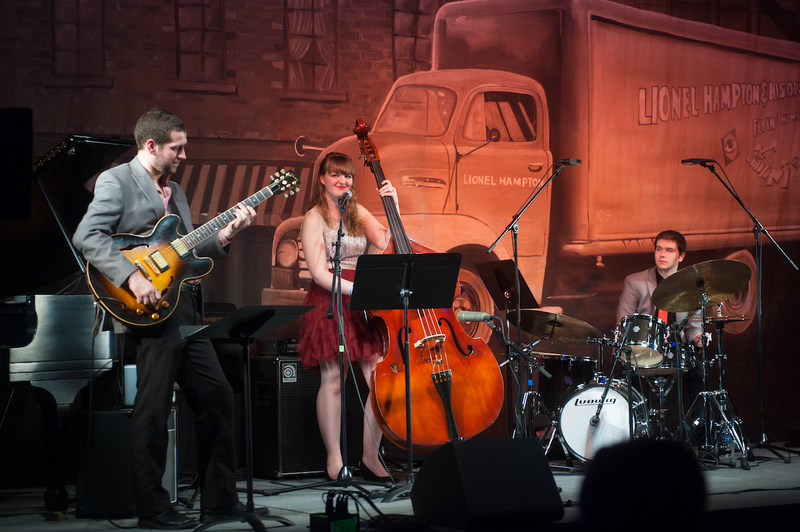 These students join the UI Jazz Choirs and accompanying ensembles from the nationally accredited Lionel Hampton School of Music, part of the university’s College of Letters, Arts and Social Sciences, to perform holiday classics. 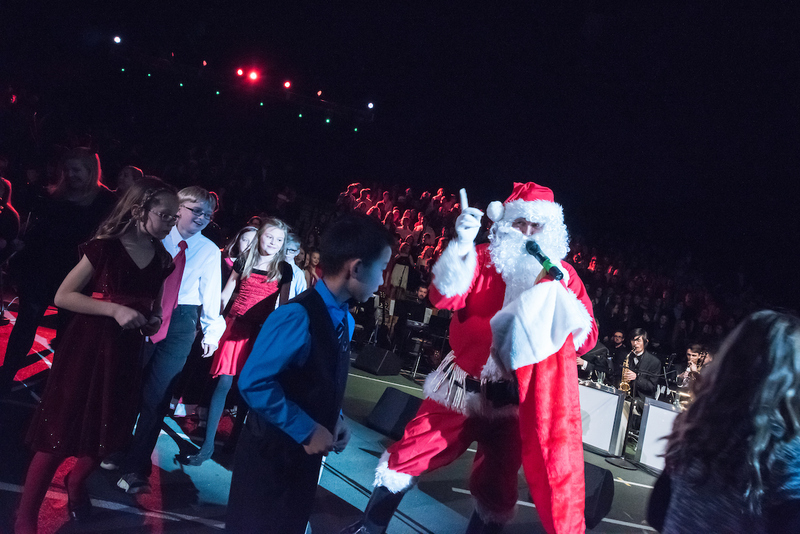 “It's great to be part of a community that has joined in this holiday tradition for more than 25 years,” said Dan Bukvich, professor of percussion and theory, director of the jazz choir and creative director for the holiday concert. Here We Have Idaho is looking to the stars! Here We Have Idaho, the UI alumni magazine, is looking to the stars for its spring issue, with a focus on how Vandals have impacted space research and exploration. Has your career involved working for a company involved in space research? Send the details, including your contact information, to editor Savannah Tranchell at uidahomagazine@uidaho.edu. Dec 25 – Merry Christmas! Dennis is the proud father of UI students Cameron and Conner Cochems. Albertsons Companies will have its name in lights on the University of Idaho campus with the commitment of $500,000 over the next 10 years to the new court-sports arena and naming rights to the scoreboard. The donation is a reflection of the longtime partnership between UI and Albertsons. “Albertsons and UI are both grounded in a mission to support and invest in our home state,” said UI President Chuck Staben. 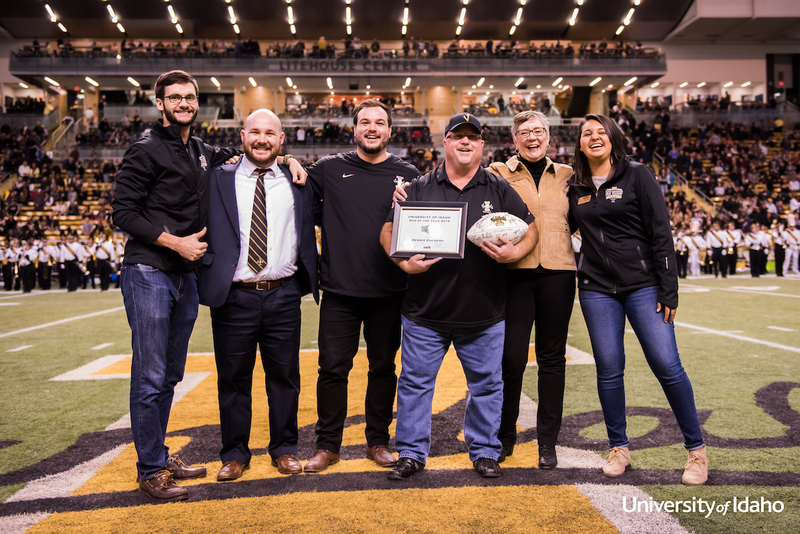 Representatives from Albertsons were recognized at the Vandal home football game on Saturday, Dec. 3, in the ASUI-Kibbie Activities Center. The announcement of the 4,700-seat arena came in October as UI neared the halfway point in fundraising for the $30 million project. 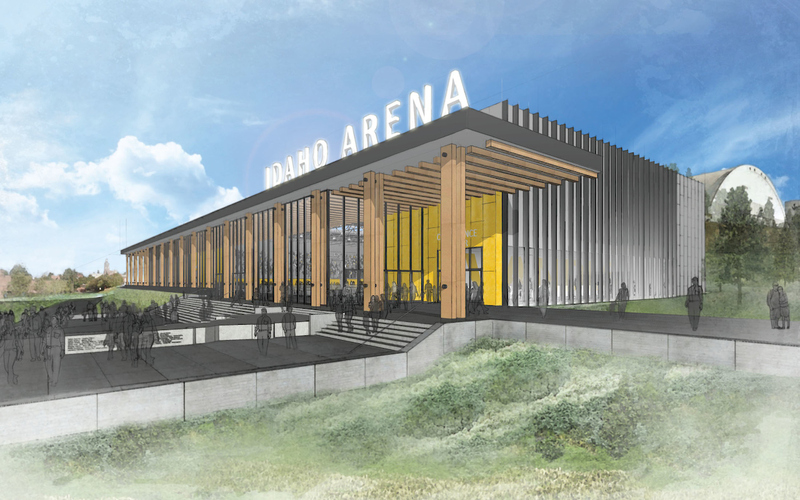 The arena, slated for construction north of the Kibbie Dome, will host UI’s basketball and volleyball teams, as well as be a gathering space for a variety of events to enhance student life at UI. 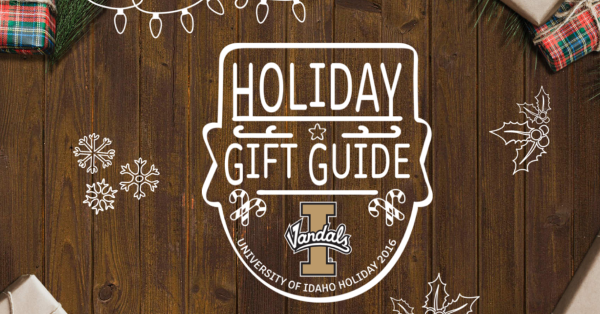 Give the gift of Vandal gear this holiday season. Explore the UI Holiday Gift Guide. Happy chaos will reign at my house this Thanksgiving holiday! The clan – which includes my husband and me, our son home from grad school, our daughter, son-in-law, 3-year-old grandson, 9-month-old grandson, sister, niece, cranky cat, old dog and new puppy – begins gathering tonight. Tomorrow morning, my husband will get up early to make his great-grandmother Sarah’s sausage-and-apple stuffing with Jethro Tull’s “Thick as a Brick” blaring in the background. We will feed the pets and the babies – probably not in that order – get the turkey in the oven, watch the Macy’s Thanksgiving Day Parade and part of The National Dog Show, peel potatoes, set the homemade rolls to rise, and stir up all of the other side dishes. It will be loud and crazy and perfect. I received an excellent education – in the classroom and out. My UI degree has served me well my entire professional career. I met my life partner. He worked at KUOI, the student radio station, while I worked at The Argonaut. He brought the station advertisement down to the basement of the SUB one afternoon, and the rest, as they say, is history! Both of our children, and our son-in-law, graduated from Idaho. UI provided an affordable way to prepare them with a quality education. Being a member of the Vandal family gives me connections and colleagues around the globe. The Vandals are bowl eligible!! Here’s wishing you and yours a happy, healthy holiday filled with good food, family and fun, and that quiet moment to be thankful. Linda Copple Trout began her journey to the Idaho Supreme Court in Tokyo, Japan. Her father, who, by the way, was the personal doctor to World War II’s General Ridgway at the time, was stationed at Tokyo Army Hospital, when a baby girl arrived. “’Do you know anyone interested in adopting a baby girl?’ He convinced my mother,’” says Trout. Trout attended the University of Idaho and graduated with a bachelor’s degree in English, and a minor in French. She was aiming for a career in journalism, then found a job as ward clerk for the University of Oregon Medical Hospital in Portland. But … “I didn’t see career opportunities.” Spurred by family members who were attorneys, Trout went back to school and obtained her juris doctorate degree from the University of Idaho College of Law. Can't join us in Moscow? Shop online for 25 percent off with promo code BF2016 at www.vandalstore.com. Can't make the game? Listen online, on the radio or check here for watch parties near you! 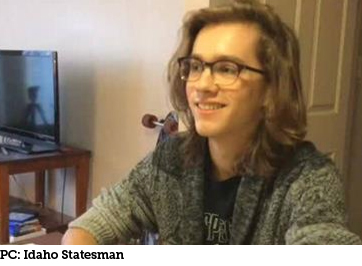 ‘I wasn’t certain I was college material.’ State of Idaho acceptance letter changed his mind. A letter telling Wyatt Wurtenberger he was already accepted to Boise State University helped convince him to attend college. Wyatt Wurtenberger, who graduated from Emmett High School last spring, was always iffy about college. One day in November 2015, a letter showed up at his house from the Idaho State Board of Education saying he’d already been accepted to several Idaho public colleges, including the University of Idaho and Boise State. It was awhile before the indifferent student read the letter carefully, but when he did, it was pivotal. Similar letters went to 20,000 Idaho high school seniors last November, the latest effort in Idaho to grease the transition from high school to higher education in a state where fewer than half of high school graduates go to college. The “go-on rate” of students who go immediately to college has dropped from 50 percent in 2013 to 44 percent in 2015, said Blake Youde, spokesman for the State Board of Education. This sagging rate has long bedeviled Idaho education and has resisted efforts to change it. Even the state’s own goal of getting 60 percent of its population between 25 and to 34 equipped with some post-high school degree appears to be moving out of reach. UI’s Office of Trademark and Licensing has partnered with Learfield Licensing to create an online catalog of Vandal merchandise just in time for the holiday shopping season. Items include Vandal-themed clothing for men, women and children, tailgate items and gifts for the home. 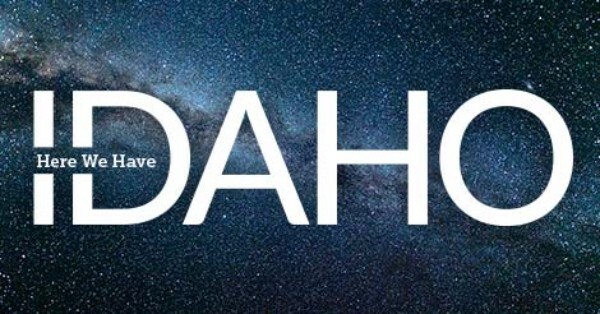 You can shop online at http://bit.ly/IdahoHoliday. This year's theme is "Sports Dad." Prepare for loads of fun honoring Vandal dads. 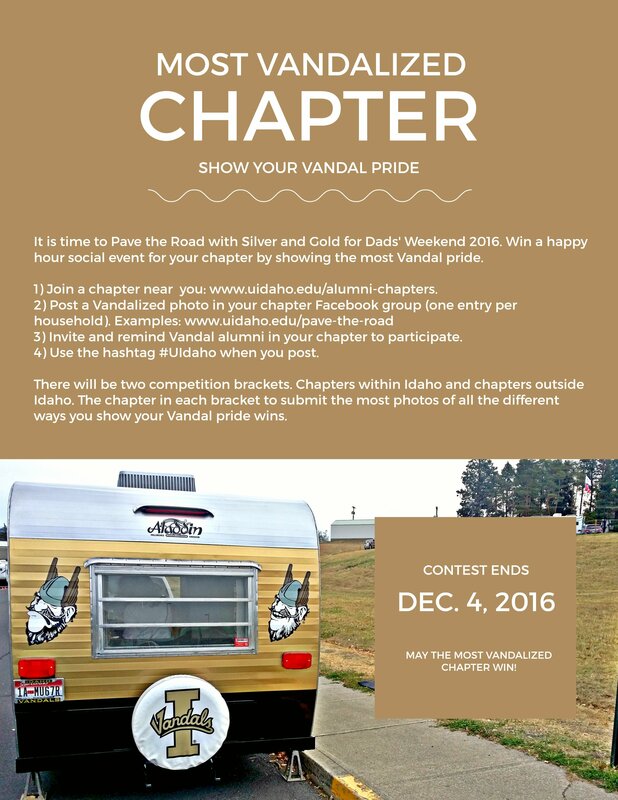 Put on your silver and gold, join the Most Vandalized Chapter contest! Nov 24 – Happy Thanksgiving! Dec 5 – Vandal Events, Washington D.C. Prepare to get Vandalized for the first ever Most Vandalized Chapter competition. Share your photo of how you get Vandalized, examples here: (LINK), in a chapter group near you for a chance to win your chapter a happy hour social event, compliments of the Office of Alumni Relations. 2) Make sure to invite Vandal friends in your chapter area to join the contest event. If they have not already joined the chapter group, invite them and make sure they get in on the fun. 3) There will be two chapter competition brackets: Chapters within Idaho and chapters outside Idaho. The chapter who wins in each competition bracket will receive the prize. 4) Use the hashtag #UIdaho when you post. 5) Contest begins now and ends 11:59 p.m. on Dec. 4, 2016. 6) Get creative, show your silver and gold, and may the most Vandalized chapter win! Good news! Using the IRA charitable rollover, you can make a tax-free gift directly from your IRA to benefit the University of Idaho. You are 70 1/2 or older. You want to satisfy your IRA’s minimum required distribution without generating taxable income. You want to apply your gift against a pledge. 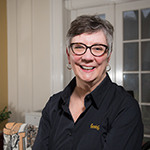 Contact Sharon L. Morgan, JD, Senior Director, Office of Estate, Trust and Gift Planning at 866-671-7041 or morgans@uidaho.edu. How do you show your silver and gold? 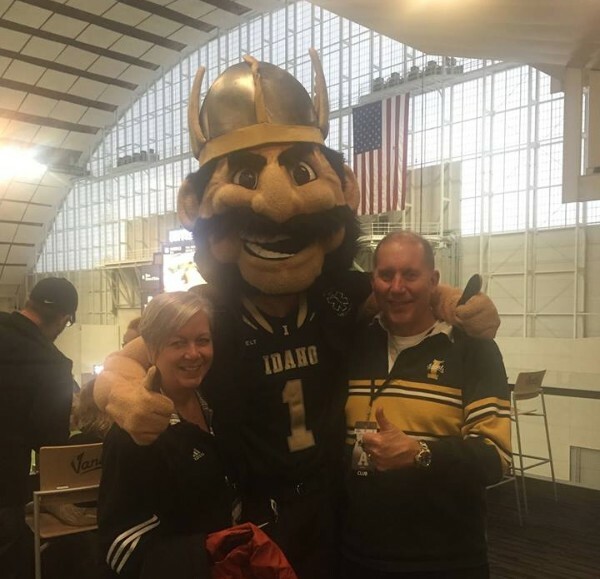 Russell Morgan '80 of the Kootenai County Alumni Chapter shows his Vandal Pride with wife Patricia and Joe Vandal in the Kibbie Dome. Want to stay up to date with Vandal events in your area? Join an alumni chapter. Amid the hubbub of Halloween, the excitement of Election Day and the anticipation of the winter holidays, we sometimes rush past one of the most important of our national holidays – Veterans Day, Nov. 11. It is a day to pause and recognize the sacrifice of the men and women who have served and are serving in the U.S. military, and be thankful. Vandals have a long, proud history of service in all branches of the military. Army officer training began at the UI in March 1894 when 2nd Lt. E.R. Chrisman reported to the university to become the first professor of military science and tactics. Since that time, our alma mater has produced hundreds of dedicated officers who have served our country with distinction. Their service is honored in a variety of ways – the Spanish American War Memorial on the Administration Lawn, the commemorative anchor on display in front of Gertrude Hays Hall, the World War I display in Memorial Gym, and many more. 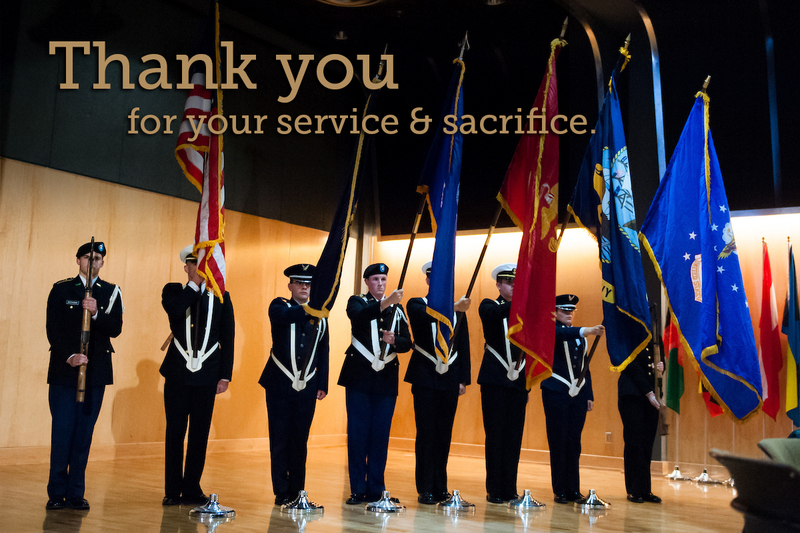 The university continues to serve veterans in a number of ways. Operation Education – a unique scholarship program created by UI in 2006 – offers financial, social and academic support to veterans who have sustained service-related injuries since 2001, as well as their spouses. 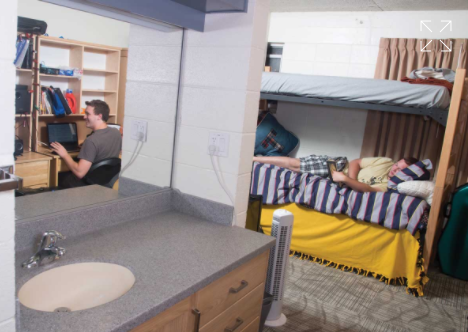 Services include financial counseling, academic and social support and resources – such as tuition, fees and books, on-campus housing, transportation, child care, adaptive equipment tutoring and mentorship – to help with the myriad of challenges many veterans with disabilities face. We can all take pride in the fact that our university has built and sustained such a comprehensive portfolio of assistance. The 10th anniversary of Operation Education will be celebrated at the fourth annual Veterans Appreciation Dinner on campus Friday evening. To every UI alum who has served or is serving in the military, as well as their family members, I say: Thank you for your service. Thank you for your sacrifice. 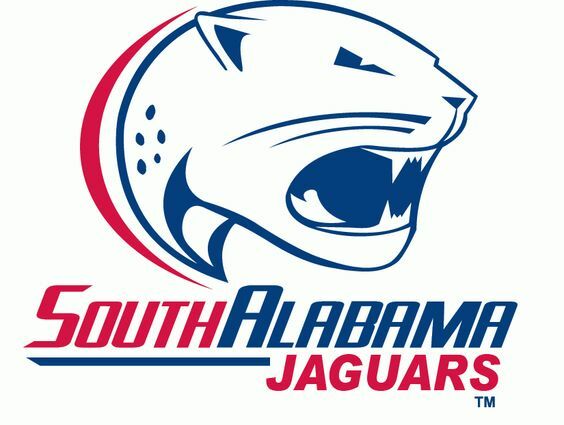 Notice: There has been a change in the time for the Nov. 26 football game vs. South Alabama. New game time is 12:30 p.m. PT. 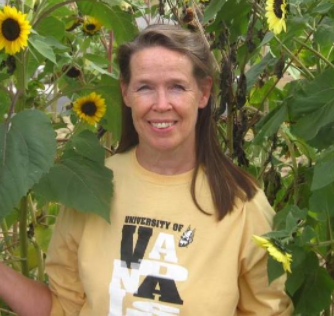 The University of Idaho Retirees Association (UIRA) will honor alumna and former UI Athletics employee Maureen Taylor Regan with the Idaho Treasure Award on Thursday, Nov. 17. The Idaho Treasure Award is sponsored by UIRA and recognizes living retired UI faculty, staff and/or family members who, in their retirement years, have made significant achievements in service or leadership to the university. The award will be presented during the 2016 Idaho Treasure Award Luncheon at the Best Western Plus University Inn in Moscow. Socializing begins at 11:30 a.m. with the luncheon and program at noon. The luncheon is open to the public and costs $12, paid at the door. Taylor Regan grew up on a farm in Careywood, Idaho. 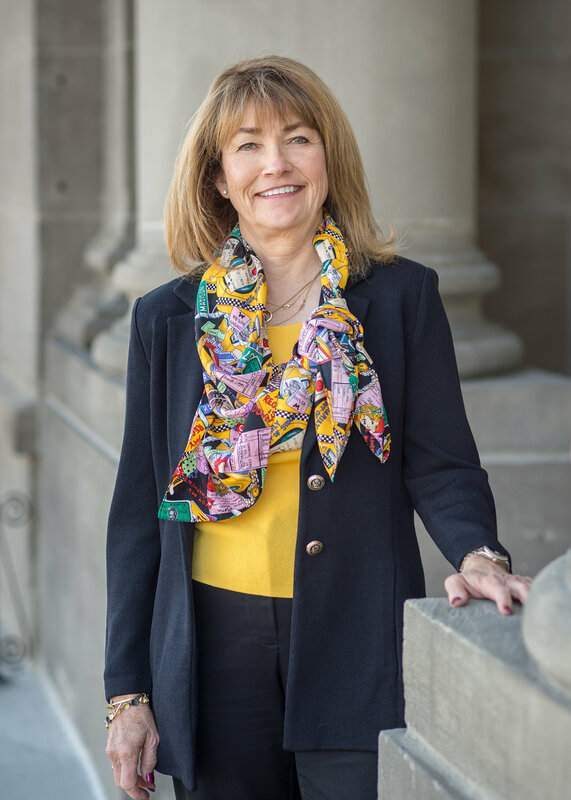 She earned her associate degree in 1974 from North Idaho College and graduated from UI with a bachelor’s degree in communications, advertising and public relations from the College of Letters, Arts and Social Sciences in 1976. After graduation she accepted a position with the UI Department of Athletics as secretary to the athletic director. Taylor Regan retired in 2010 after 34 years, earning the position of associate athletics director/senior woman administrator. What is Your Cybersecurity IQ? The The University of Idaho Coeur d’Alene is home to the UI Cybersecurity Training and Operations Center, which provides continuing education programs for professionals in the information technology field. 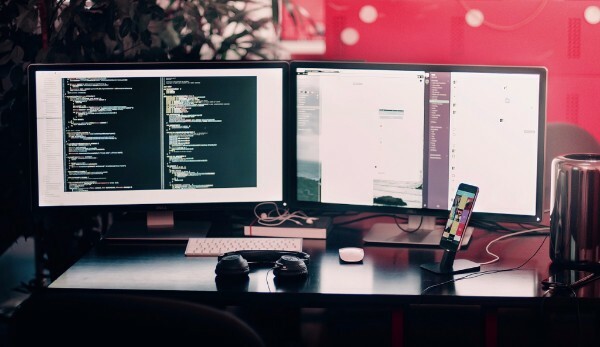 Grant funding for Idaho employers is now available for cybersecurity training and pre-training assessments to identify knowledge gaps. This is a wonderful opportunity to make sure your employees have the knowledge to stay safe in the cyber environment. Contact Karen Thurston for information at 208-664-7024 or kthurston@uidaho.edu. 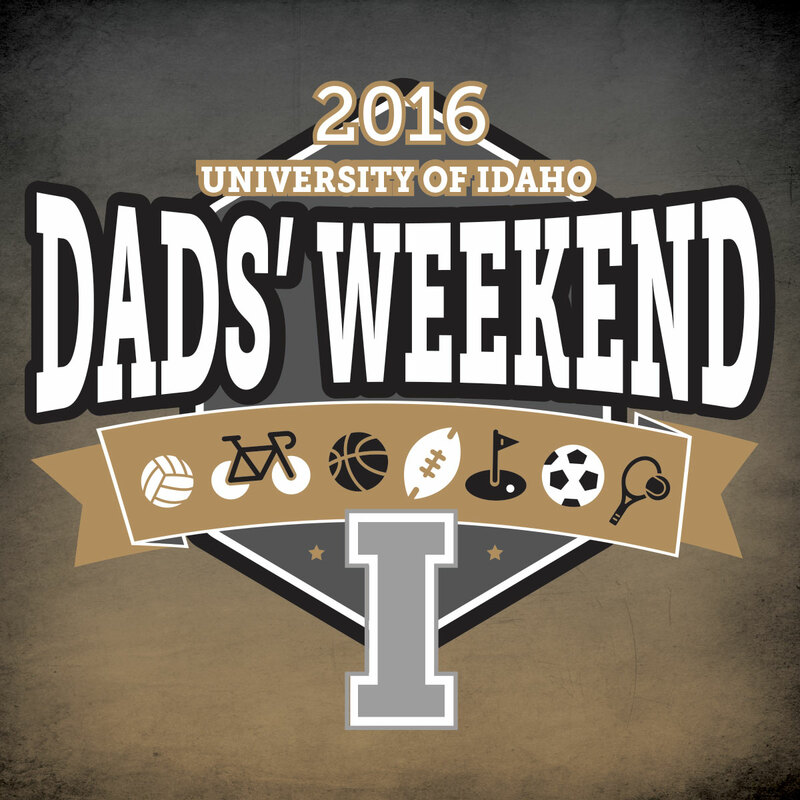 This year's theme is "Sports Dad," so get ready for loads of fun honoring our Vandal dads. Make sure to reserve a hotel room. Watch the website for updates! Nov 25 – Happy Thanksgiving! 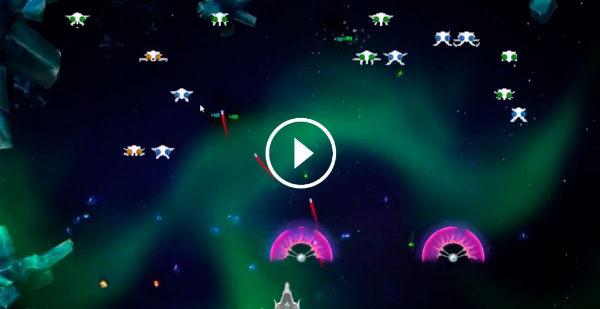 Undergraduates from across disciplines team up to bring evolution to video games. Polymorphic Games is unique among video game studios because of its combination of subject matter and people: Its games weave in principles of evolutionary biology, and they’re made almost entirely by undergraduate students. **This article originally appeared on 1912 Pike and was reprinted with permission from Starbucks. See the original here. Shogo Ota graduated from the University of Idaho's College of Art and Architecture with a Bachelor of Fine Arts in 2007. In November 2016, Starbucks released a new green cup in U.S. stores for a very limited time. The artwork on the cup was created by a very special person. This is his story. In the space under the stairs, walls of paper sketches close in around the artist at the drafting table. Shogo Ota stood over his new design, his hair a long, twisty black knot at the nape of his neck, his red plaid shirt a surrender to Pacific Northwest persuasion. 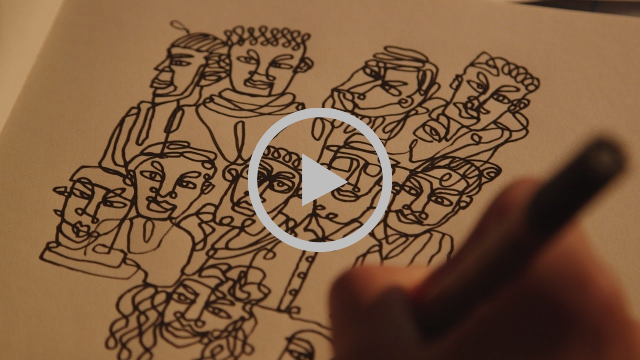 As Seattle drizzled on the window behind him, he turned up the music and examined his sketchpad and the idea he calls simple: using one line to connect people. Thousands of people will have the opportunity to consider Shogo’s simple idea. One continuous line, whose beginning was on a sketchpad in the artist’s small studio under the stairs in his basement apartment, will be wrapped around millions of green cups and handed to Starbucks customers coast to coast. When Shogo moved to the United States 14 years ago to study art at the University of Idaho, he didn’t speak English. In fact, he didn’t know where Idaho was on the map. He was in America, where he knew one person, to fulfill his mother’s wish for him to study abroad. After being rejected by five Japanese universities, she hoped an education and his art would secure his future. Shogo studied. He won an art contest. He won two. 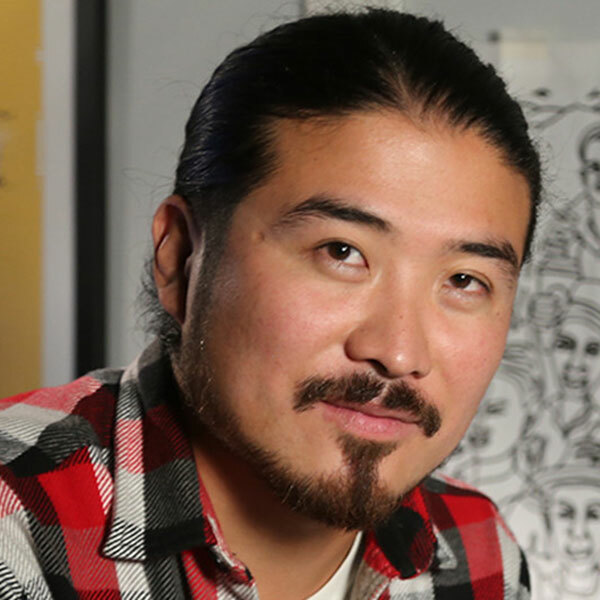 He earned an internship as a graphic design artist for a small Seattle firm, and in 2012 celebrated the establishment of his own company, Tireman Studio. In 2014, Starbucks began selecting Shogo’s art for presentations, ranging from a community poster series to a hand-painted mural on the tall wooden doors of the new store in Ferguson, Missouri. And most recently, he was commissioned to create the artwork for the green cup. 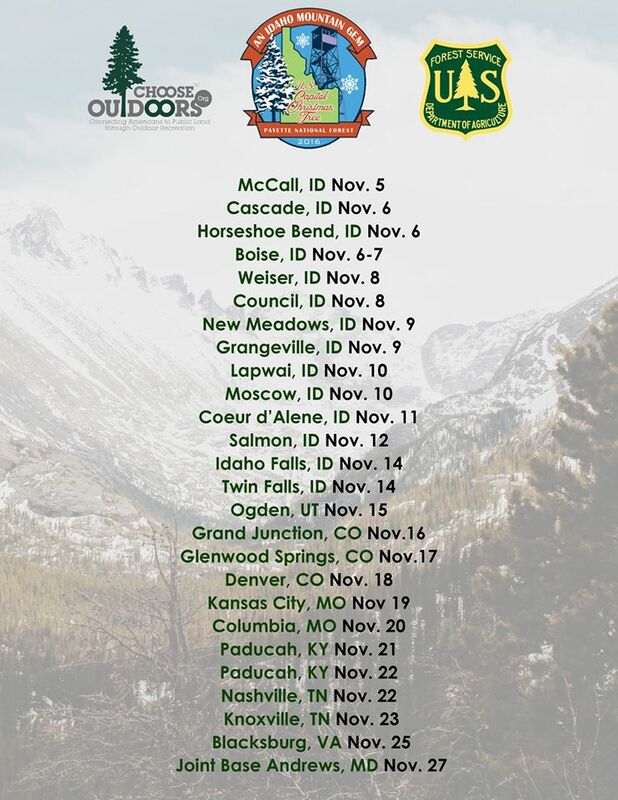 Celebrate Idaho at a tour stop near you! 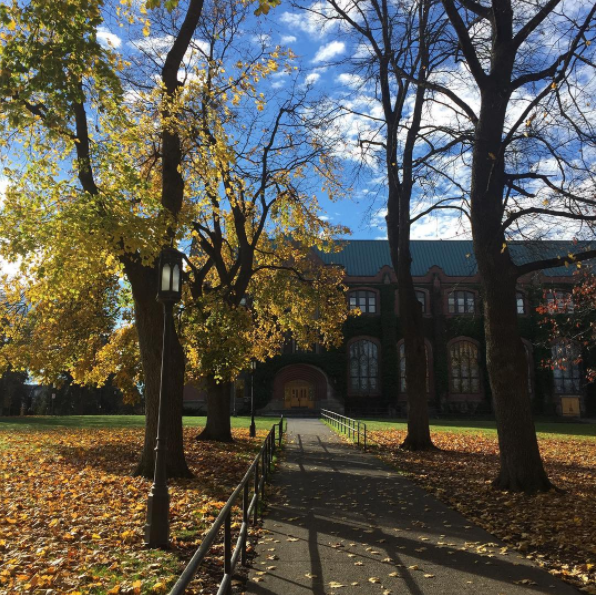 Student Molly Swords - @anthrogirly - captured this magical fall moment on campus. If you heard cheers and applause from Moscow ringing across the state and region last week, it is for good reason. For the first time since 2012, official overall student enrollment at the University of Idaho increased! 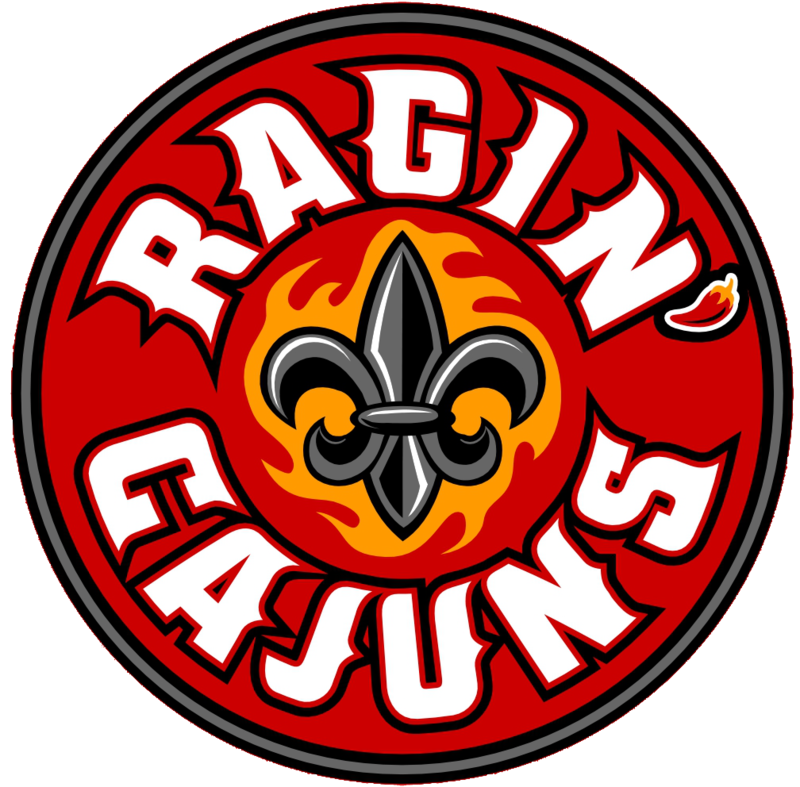 The number of students grew 3.6 percent from 11,371 in fall 2015 to 11,780 in fall 2016. The breakdown of that increase is especially exciting. Some of the largest growth came in the number of first-time undergraduate students from Idaho – up 6.5 percent over last year. 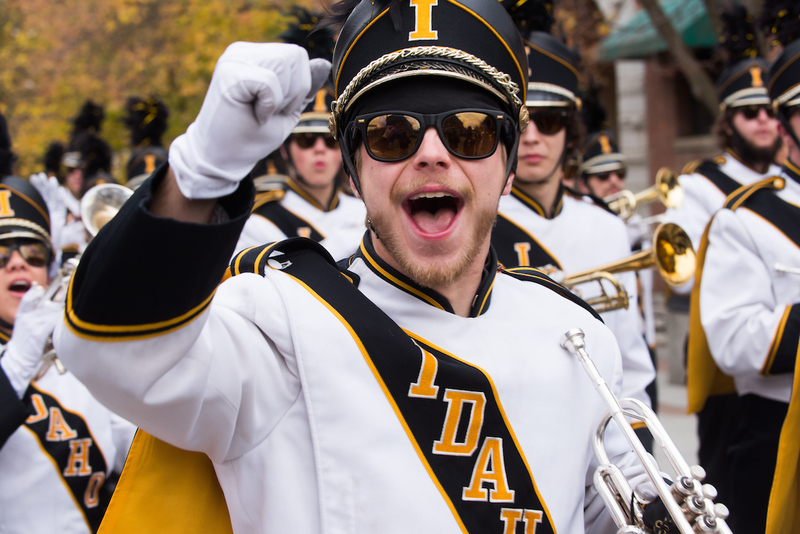 Working with the statewide Direct Admissions initiative, which removed obstacles to higher education for Idaho high schoolers, UI invested in a focused enrollment marketing campaign to attract and recruit students from within the state, and it paid good dividends. 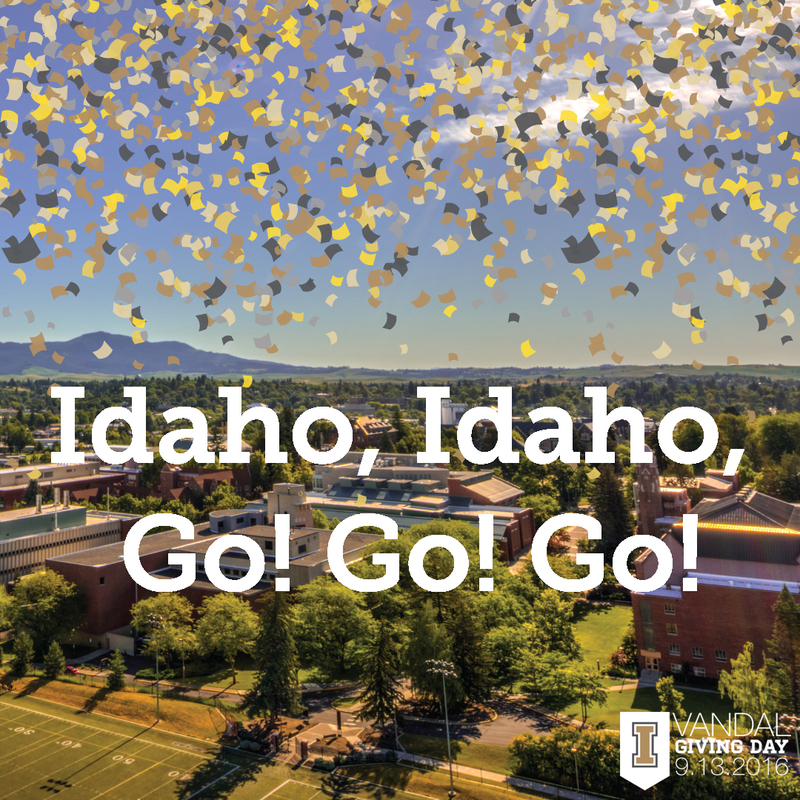 As Idaho’s only land-grant institution, our alma mater has a specific mission to serve the citizens of our great state – what better way to do that than to make a stellar higher education more accessible to more of its students! Alumni played an important role in the enrollment growth through the multi-faceted Vandals in Partnership program. Many of you recommended prospective students through the Grow the Gold aspect of that program. Others assisted at a series of Meet the Vandals events throughout Idaho and the region. Some visited classrooms in their local areas to answer questions and outline the benefits of becoming a Vandal. Working with the Office of Admissions, the Office of Alumni sponsored a pilot program of send-off events – bringing together Vandal alums with admitted students in Seattle, Portland, Boise, Idaho Falls and Coeur d’Alene – to help maintain student excitement about attending UI. We will do more in the coming year. Thanks to each one of you participated in any way to recruit more students – as satisfied customers ourselves, we are among the best ambassadors for recruiting new ones. Obviously, enrollment isn’t the only measure of success for our great institution, but it is key to the future of the University of Idaho. Growing the Vandal family one student at a time helps to preserve the amazing heritage and to realize the untapped potential of an institution that serves our state, nation and world. And that, my fellow Vandals, is worth cheering about! 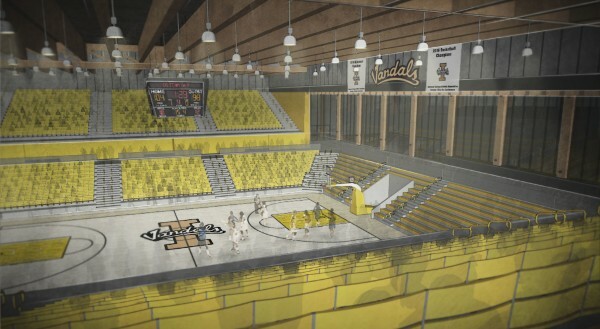 We are excited to share the University of Idaho plans to construct the Idaho Arena, a 4,700-seat, 70,000-square-foot athletics facility that will be home for the Vandal men’s and women’s basketball and volleyball teams and a university community gathering place for academic events, concerts and meetings. 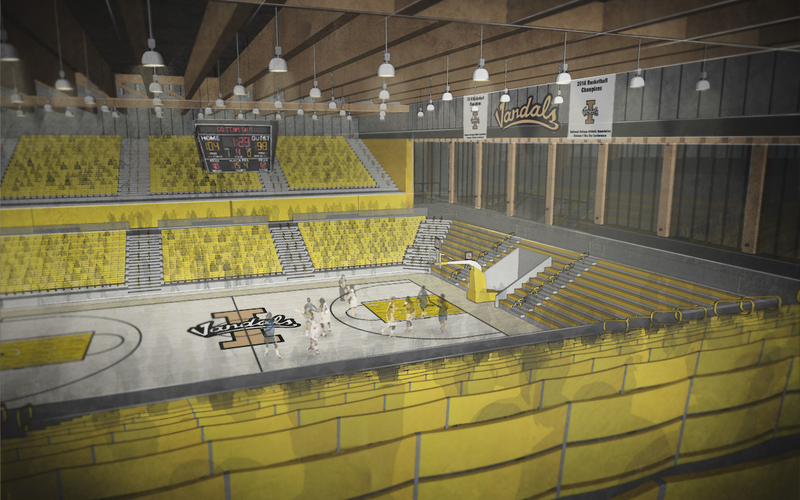 Slated for construction on the north side of the ASUI-Kibbie Activity Center, the Idaho Arena has the potential to take the Vandal basketball and volleyball teams to a new level of national attention and interest. The arena will strengthen recruiting, rally fan excitement and improve the residential campus environment for students, faculty, staff and the larger university community. “This much-needed project is an investment in our student-athletes, in a great student experience and in an exciting campus environment for alumni, fans and the entire community,” UI President Chuck Staben said. “It is an investment in Vandal excellence. The arena project has been on the drawing board for nearly 50 years. When Staben joined UI nearly three years ago, UI Athletic Director Rob Spear introduced him to the project and it quickly became a presidential priority. 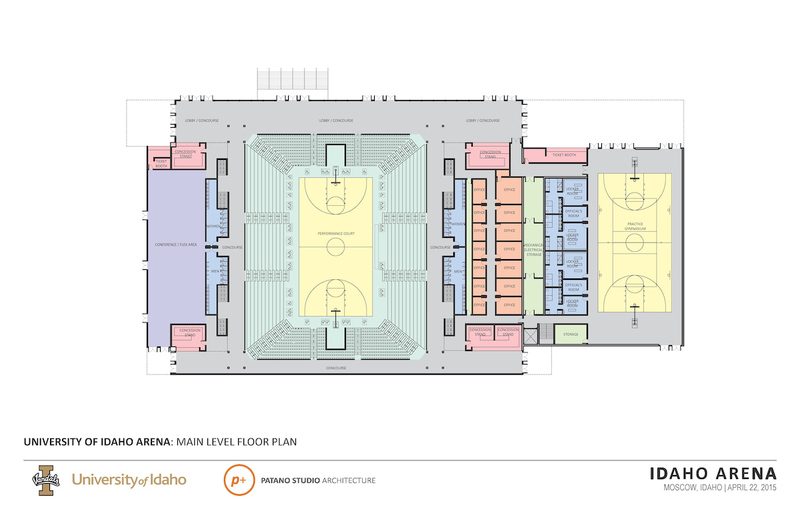 For more information about the Idaho Arena, go to uidaho.edu/idahoarena. We Wish You a Happy All Hallows' Eve! 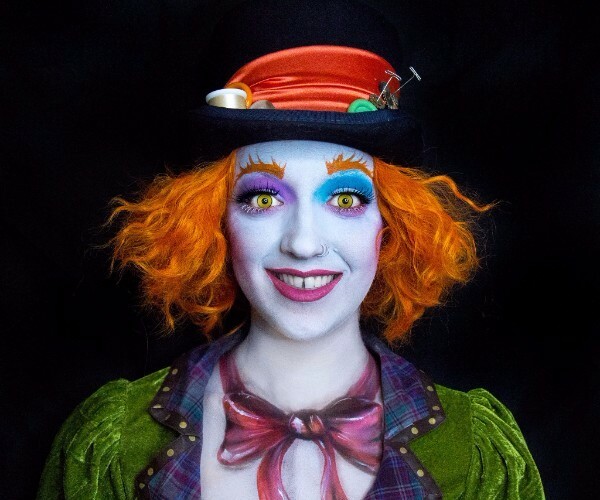 Show us your UI inspired Halloween costumes on Facebook! 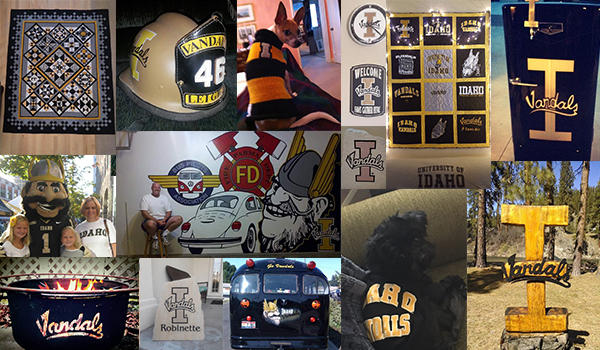 Don't forget to tag @uidahoalumni. The University of Idaho Lionel Hampton Jazz Festival celebrates its 50th anniversary in February 2017 with a musical lineup that brings some of the most celebrated modern jazz artists to Moscow. 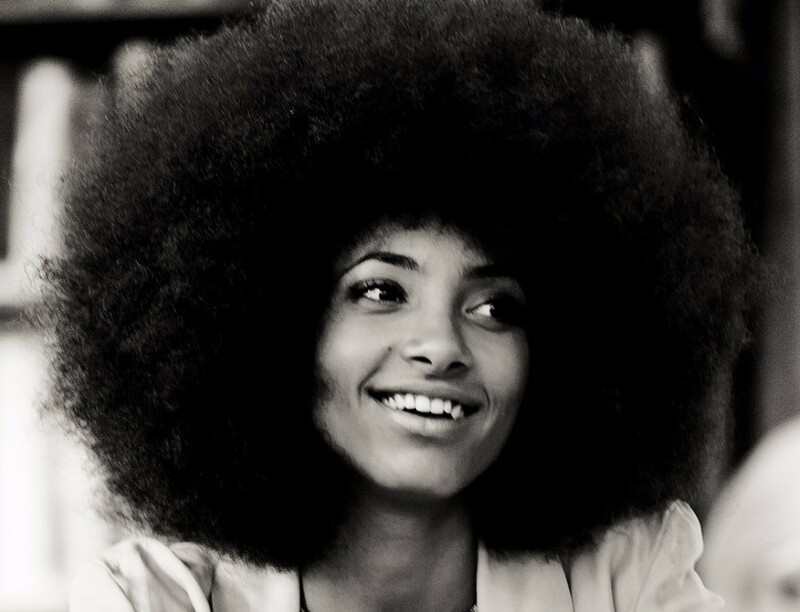 Four-time Grammy Award winner Esperanza Spalding, a world-renowned genre-bending composer, bassist and vocalist, will be headlining Saturday. Other artists include Claudio Roditi, Rene Marie, New York Voices, Julia Keefe and more. 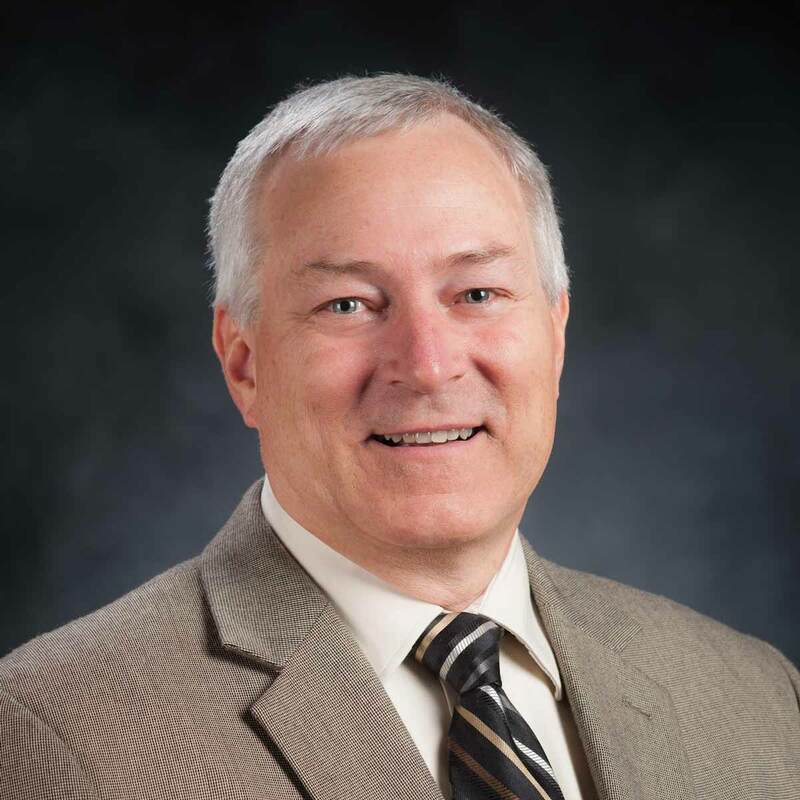 Official overall student enrollment at the University of Idaho increased to 11,780 for fall 2016, up 3.6 percent from 11,371 in fall 2015.Enrollment this fall is higher than it was when President Chuck Staben joined UI in 2014. 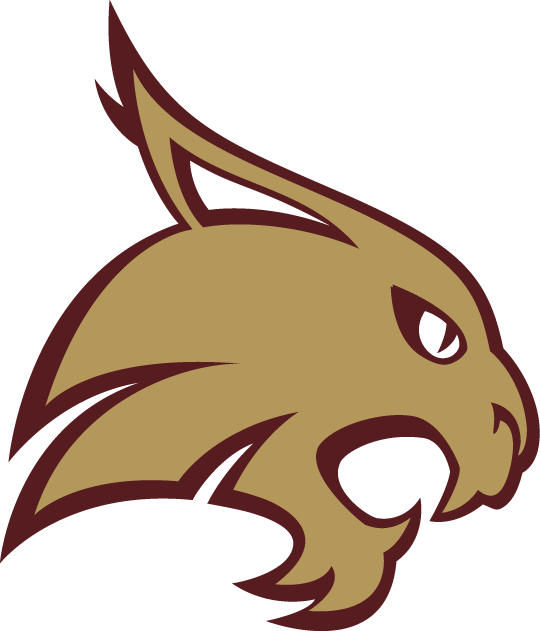 And it is the first overall enrollment increase since 2012. Enrollment is up in several key areas including first-time undergraduate (resident and non-resident) and underrepresented students. Over the lastmonth UI informally shared preliminary enrollment estimates with faculty and staff as an unofficial update. The final official numbers UI reports today indicate those initial estimates were low in certain areas. First-time resident undergraduate student enrollment totaled 1,235, up 6.5 percent over fall 2015. 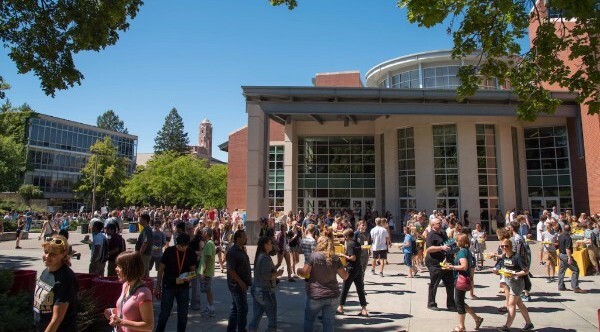 This increase is due largely to a year of concerted, focused enrollment marketing work by UI with support from the statewide Direct Admissions initiative that removed barriers to higher education for Idaho high school students. Total first-year students this semester is 1,660, up 4.5 percent from fall 2015. Total new student enrollment, which includes non-degree students and dual enrollment, is 4,504, up 20 percent from fall 2015. 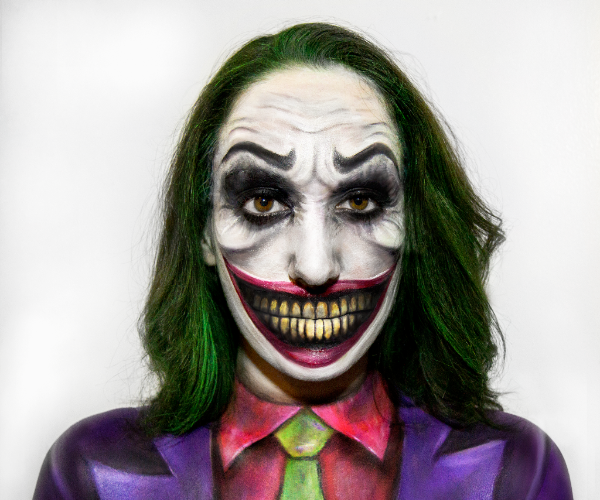 Check out the incredible special effects make-up by 2014 Virtual Technology and Design graduate Jacque Lombardo. 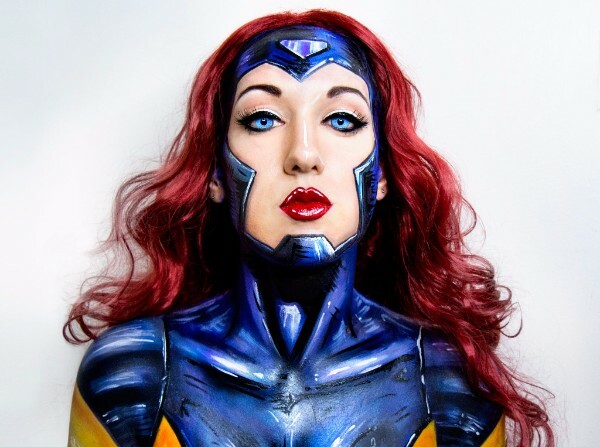 View her full portfolio here. Go Vandals! As part of the day’s training, England selects a steer to demonstrate field treatment for aggravated cases of pink eye, then advises the students’ efforts to perform the procedure themselves. 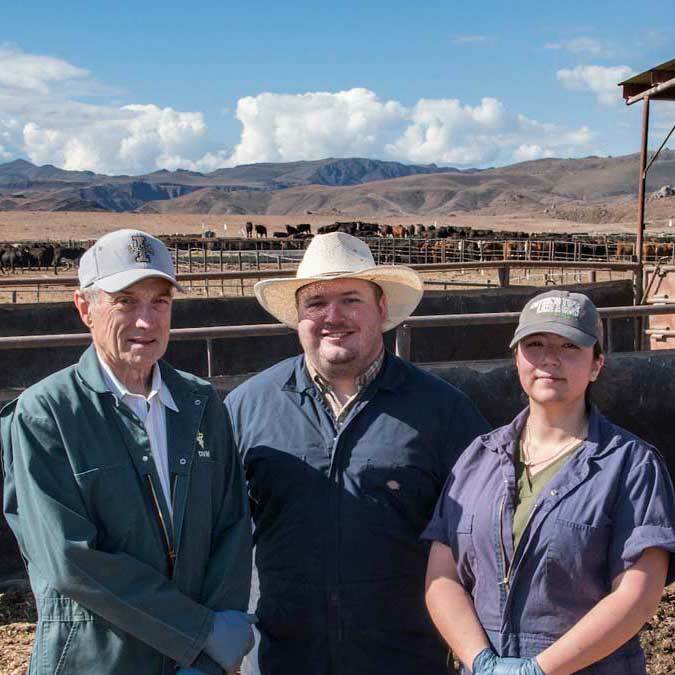 Within two hours, the veterinary crew and feedlot workers run 138 animals through the chute — approximately one a minute..
Then & Now: Integrated Research and Innovation Center. What a different two years can make! We often talk about the benefits of being a member of the Vandal family, but it is always great to see firsthand the Vandal family in action. Last Wednesday, the University of Idaho sponsored its annual career fair. Employers from throughout the Pacific Northwest gathered in the Kibbie Dome to meet, interview and hire current and soon-to-graduate students. Many, many of those employers are Vandals themselves. 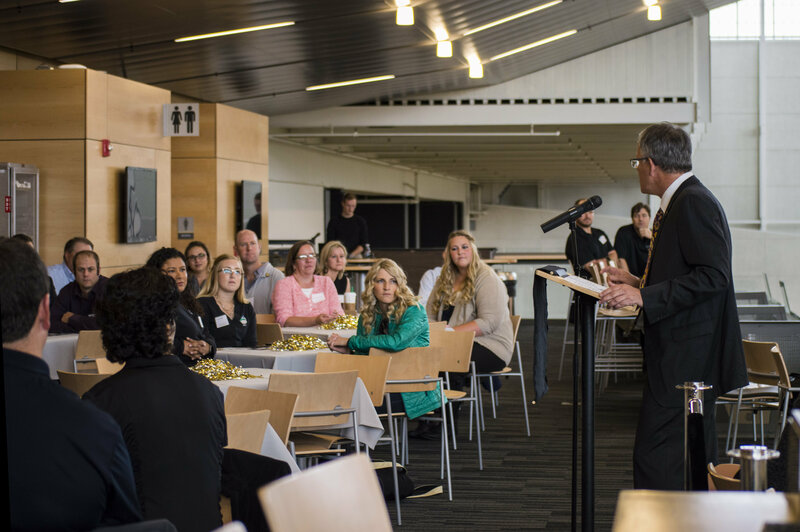 Working with the Office of Career Services, the Office of Alumni Relations hosted nearly 40 alumni and their guests for lunch in the Kibbie Dome before the fair started. UI President Chuck Staben joined us. The conversations centered around Vandals hiring Vandals because “we know the quality we are getting.” In general, they said, Vandals not only know their specific subject matter, they also have strong leadership skills. Because of their involvement in their fraternity, sorority or other living group, clubs and organizations, and/or undergraduate research, they are good time managers, can work as part of a team and carry a strong work ethic. Some 95 percent of all new jobs created since the Great Recession have gone to those with at least some college experience. We can be proud that, according to the U.S. Department of Education’s latest College Scorecard, UI has the lowest net cost of education, the highest graduation rate and the highest earnings after attendance than any other public, four-year institution in the state. UI was also recognized in the 2016-2017 College Salary Report by PayScale as the highest in Idaho for early and mid-career salary potential post-graduation. The luncheon is just the first of what I hope becomes a robust relationship with the Office of Career Services. There are so many ways alumni could be even more engaged with current students to help make them more employable and more successful in the workplace, from mentoring and internships to participation in events like the Career Fair. Stay tuned! The College Scorecard is provided by the U.S. Department of Education to provide students and their families with critical information needed - key indicators about the cost and value - to make smart decisions about where to enroll for higher education. Thank you to all our alumni, the Moscow community and our wonderful UI family for another incredible UI Homecoming. We can't wait to do it all again next year! The University of Idaho Lionel Hampton Jazz Festival will celebrate 50 years of bringing world-renowned artists and jazz professionals to Moscow on Feb. 23-25, 2017. This year’s festival theme — “Grounded in Tradition. 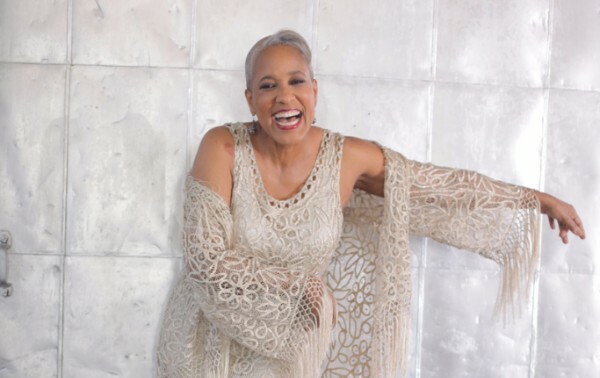 Breaking New Ground.” —comes with great excitement as the festival returns to the Lionel Hampton School of Music within UI’s College of Letters, Arts and Social Sciences. The organizational change allows the festival to refocus on its long history of music education. The Lionel Hampton Jazz Festival is a three-day educational event featuring student performances, engaging hands-on clinics and professional workshops for students ranging from elementary school to college, as well as community members. Attendees have access to the knowledge and skills of world-class performers and the opportunity to attend nightly concerts by celebrated artists. No-host bar and appetizers available for purchase. A weekend of sports on the road had Vandal returning in victory. Austin Rehkow kicked the game-winner field goal as time expired. Idaho beat Louisiana-Monroe 34-31. Women's soccer came from behind to defeat Portland State 2-1, putting Idaho into first place in the Big Sky standings. Freshman Carlos Longhi Neto took the singles championship at the Dar Walters Fall Classic with a perfect 6-0. Combined the team held a 19-11 record over the three-day tournament. Over the next decade, UI will tackle ambitious goals to excel as a leader in research, outreach and education. From the top of the University of Idaho’s ASUI-Kibbie Activity Center — the domed icon of the Moscow campus — President Chuck Staben takes in a rarely seen view of the historic university. From this high point, he can see modern research, educational and living spaces taking their place next to UI’s venerable facilities. The 360-degree view invites reflection: What will our university be in the future? What does it need to be for the state, the students, and the research and outreach goals that it serves? 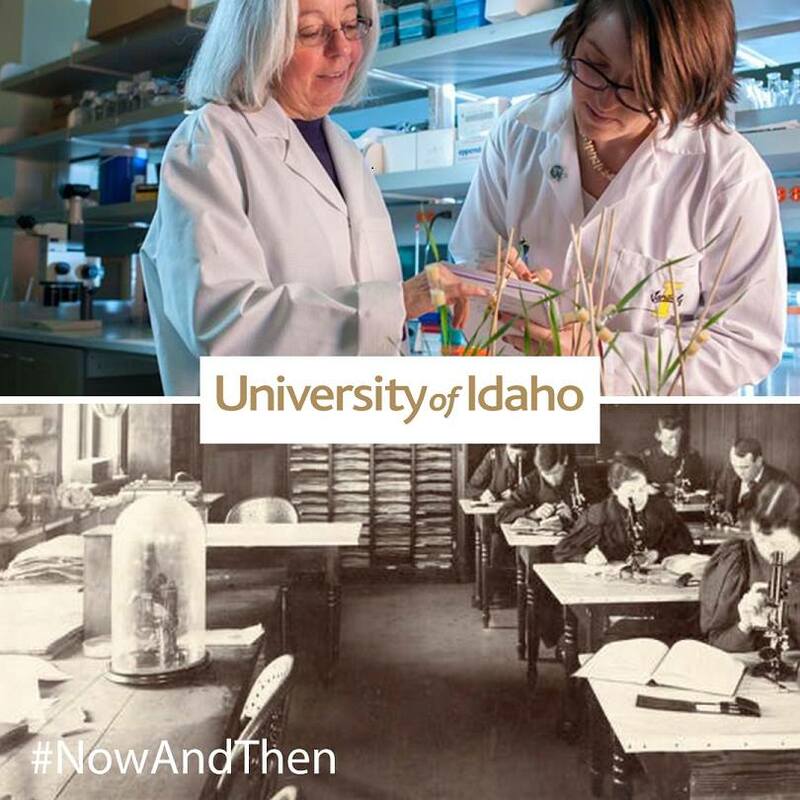 Charting the future of Idaho’s land-grant university requires two things: A vision for the institution, and a blueprint to transform that vision into action. A comprehensive institution needs a comprehensive plan. For almost 50 years the US Forest Service has provided the US Capitol Christmas Tree to the US Capitol in Washington D.C. This year's tree, an 80-foot Engelmann Spruce, is coming from the Payette National Forest in Idaho! Many celebrations will be taking place in Idaho and across the country as it makes it way 2,000 miles to Washington D.C. Join a celebration near you and look for Joe Vandal at the Moscow and Boise locations. Watch for more information in forthcoming Vandal Vibe's. 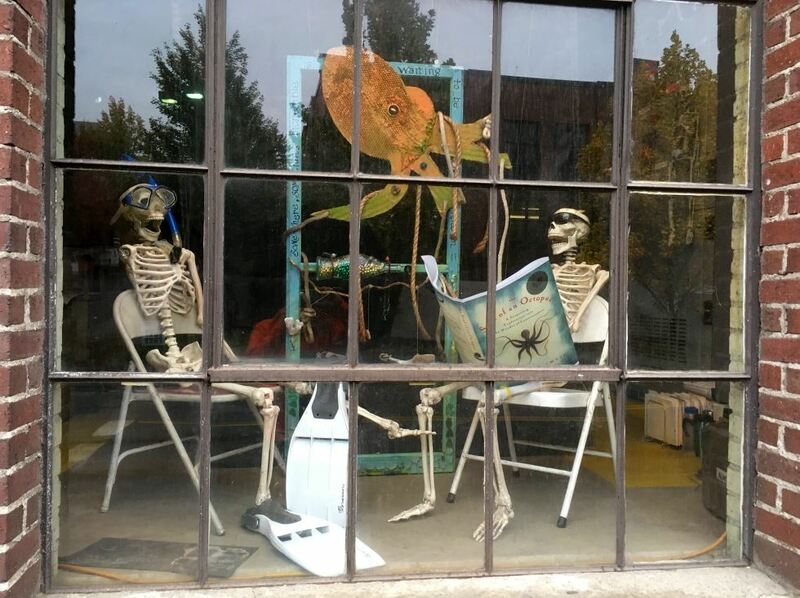 The steam plant skeletons were seen enjoying the UI common read last week during the visit for Sy Montgomery, author of this year's common read selection The Soul of an Octopus. 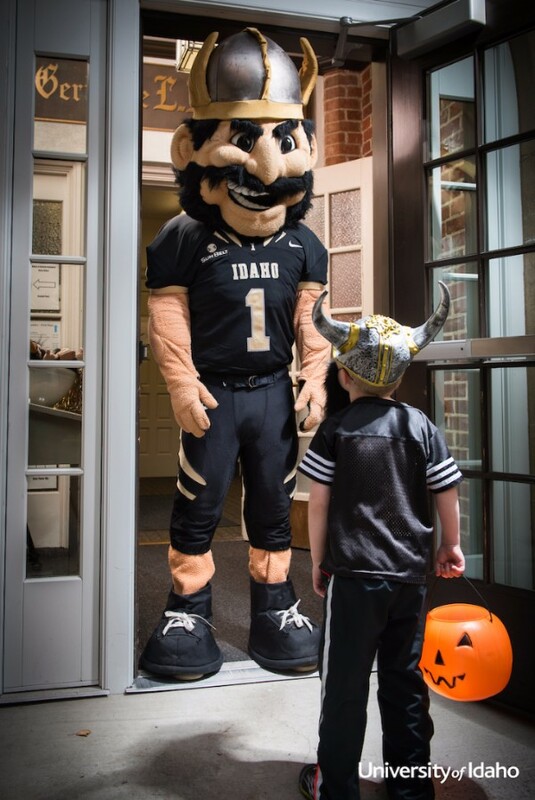 The inaugural Vandal Giving Day on Sept. 13-14 blew past every goal that was set for it. Alumni, current students and friends from around the planet raised an amazing $441,313 in a 36-hour period for scholarships, the repair and replacement of the Vandal Marching Band’s sousaphones, the UI Library, 4-H and many other programs. Donors met every challenge for dollar amounts and participation. A huge shout-out goes to the UI Foundation and the 24 individual and corporate donors who provided matching and challenge funds, including Wells Fargo, Avista, Vandal Scholarship Fund National Board and Past Presidents, the Library Advisory Board, alumni Steve and Claudia Johnson and Vandal Solutions. Thank you, thank you to all who participated. The UI football team beat University of Nevada Las Vegas in overtime on Saturday, 33 to 30. Nearly 1,000 Vandals were on hand to cheer on our players in a nail-biter that ended with everyone on their feet, singing the fight song, reveling in Vandal Pride. My heart and voice have almost recovered. And, it’s Homecoming! Students on the Moscow campus have competed in everything from “Yell like Hell” to the annual food drive, and the festivities continue through this weekend. I hope to see many of you over the next several days. Details about what’s happening when are outlined here. Every day is a good day to be a Vandal, but there are some days when it is phenomenal! Join the fun as Joe goes for the Gold!